The Site for the Faversham Beer Festival is located on the grounds of Faversham Football Stadium on Salters lane. It is less then 5 mins from the M2 by car however there is NO ONSITE PARKING for the public. 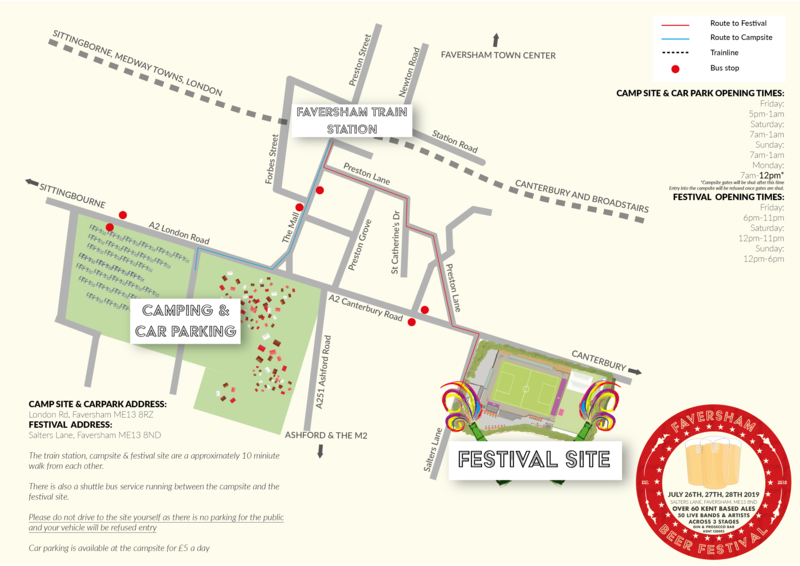 Bands, Artists,Staff and Food and Alcohol sellers have a loading and unloading area just inside the main gate. Faversham train station is a 5-10 min walk as has regular trains to and from London.